One of the last things you are going to want to deal with is the possibility of Modesto slab leak repairs. The good news is that you at least have found the best team to work with in order to take care of this for you. Here at Knights Plumbing & Drain we stand behind our motto, “Respect, Protect and Serve” and this is something we have been proving to our loyal, local Modesto plumber client base since 1995. Leaking plumbing under a slab can lead to costly repairs, especially if they go unnoticed. Leaks that are detected early, they can often be resolved in a less costly manner. Another very important reason not to ignore your need for repairing a slab leak is that the soil under the slab can shift which can lead to it sinking and leaving a depression, this means that the very structural integrity of your home can be compromised. Give us a call today and let’s take care of your potential problem. One of the best indications you could have a leak is if you hear the sound of running water when none should be in use. Another is if you notice a hot spot on the floor, which could be a sign the hot water is leaking out of the pipe, past the insulation and can be felt under the floor. You may also notices cracks on your walls or under the floor. This is the result of pressure from a leaking pipe building up and leading to cracks. Excessive moisture is something else to be on the lookout for. 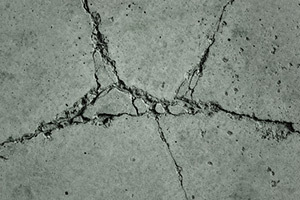 Cracks you may not notice in the slab can allow water to seep under a tile or carpet floor. This is often what can be the cause of having a damp or musty basement. Eventually, this will also lead to mold and you will need mold remediation, just another costly service to hire a professional for. If you notice these or any other indication that you have a slab leak, give our experts a call today. Watch out also for an increase in your utility bills; a spike in your water bill could result in expensive monthly bills. Even if this is not the result of a slab leak, you should still let a plumber get to the root of the problem. For all of your Modesto slab leak repairs, or other related plumbing service needs, give the Knights Plumbing & Drain professionals a call. We look forward to working with you and demonstrating in person how we have earned the flawless reputation we have. If you are looking for an expert Modesto Plumber for Slab Leak Repairs then please call the professionals at Knights Plumbing and Drain or complete our online request form.